The Confederate flag still flies over the grounds of South Carolina’s state house. The attack on Charleston’s AME church and it’s parishioners was a hate-inspired terrorist attack that exposes the prevalence of hate and racism—not only in South Carolina but in America. As a result, many are calling for South Carolina to take down the Confederate flag that flies over the grounds of its state capitol. To those living outside of South Carolina—and many living within—the flag serves as a symbol of the state’s racist past. To others, it represents heritage. Members of hate group Ku Klux Klan displaying a Confederate flag at a rally. My first encounter with the Confederate flag was when I was ten. While on our way to get ice cream in the Pennsylvania countryside, my family passed through some podunk town where Klan members were holding a rally. I vividly remember a child wearing the creepy white Klan uniform waving a great big Confederate flag. From that day on, I saw the flag as a symbol of racism. When we moved to South Carolina, I expressed my very unpopular opinion that it was time to take down the Confederate flag. After all, the Civil War was over and Klan members used the flag as a symbol for their racism. Why would any state want to be affiliated with racism? While many of my fellow students disagreed with me, it was a physics teacher who declared that the war of Northern Aggression—an alternate term for the Civil War—wasn’t over. I remember my utter shock that a teacher would support a war that—if won—would have saved an institution that enslaved the ancestors of some of his students. 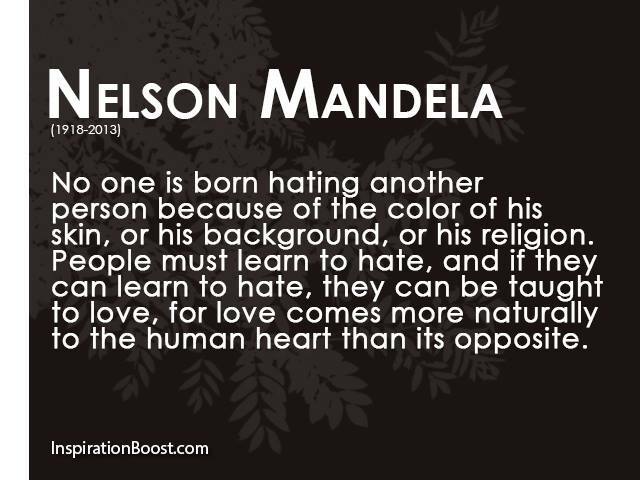 For me, his stance went against everything a teacher should believe. 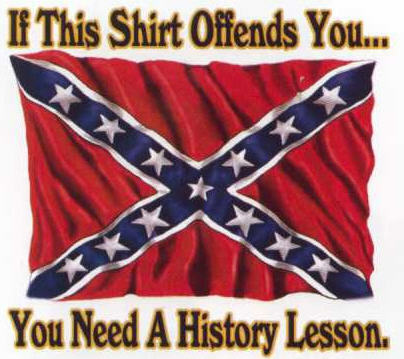 Slogans like this one express the opinion that the Confederate flag symbolizes Southern pride rather than racism. As I took American history courses, I learned that the Civil War was more complex than my Yankee teachers had led me to believe. Southerners were fighting for more than their “right” to own slaves. In a nutshell, Southerners felt they were being told by the federal government how to run their states and seceding was their right. That’s not a topic I’m going to explore in this post, but it demonstrates why many Southerners affiliate the Confederate flag with heritage and liberty rather than hatred and oppression. So what do I think? Should South Carolina take down the flag? I wish they would. If racists hadn’t decided to make the Confederate flag their banner of hatred, then perhaps it could be affiliated with heritage. For me, it’s hard to separate the Confederate flag from the continuation of slavery—and that alone makes it a racist symbol. But let’s face it, at this point, taking down the Confederate flag is like putting a Band-Aid on a bullet wound. I’ve lived in four states and witnessed discrimination in every one, not just South Carolina. Taking down a flag isn’t going to fix an epidemic of violence inspired by hate and ignorance. I don’t know what will, but I think showing love, acceptance, and treating others with respect is a good place to start. This entry was posted in Charleston Shooting, Confederate Flag at South Carolina State House, Prayers for Charleston, Take It Down and tagged Charleston Shooting, Confederate Flag at South Carolina State House, Prayers for Charleston, Take It Down on June 19, 2015 by Andrea Cefalo.